What? Fluff some features with a Bird Nest Mirror by British design company Christopher Guy. Christopher Guy specialises in luxury furnishings and their work has featured in hotels and Hollywood productions amongst other things. 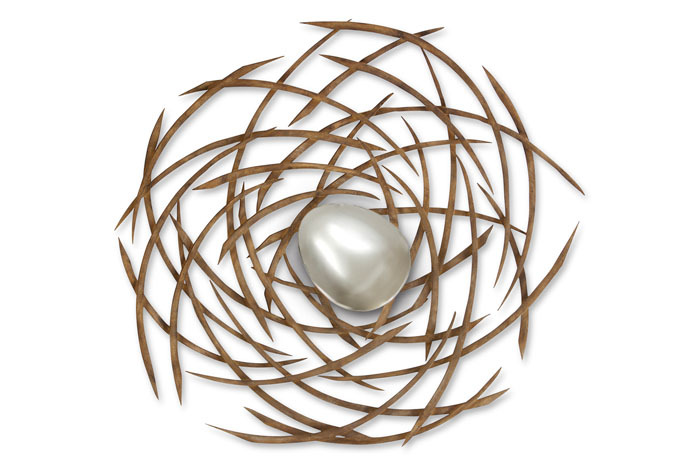 The Bird Nest Mirror forms part of Christopher Guy’s latest bedroom furnishing collection. Priced at £3,993.